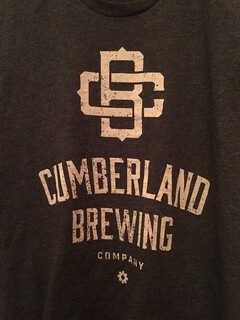 The Cumberland Brewing Company (CBC) was started by Darren Adam and Caroline Tymchuck, whom I contacted via the brewery’s Facebook page to see if they were interested in talking to a blogger about their business. Darren and Caroline told me to come down to their Dunsmuir Avenue location the next day, their fourth day of operations, for a quick chat. Despite it being a holiday, there was a line out the door and it was tough to get a seat in the tasting lounge. When Darren could spare a minute, he was happy to answer a few questions. Why Cumberland and Why Beer? Darren said he’s lived in the Valley for eight years and wanted to be part of something he could be proud of. Caroline owns Rider’s Pizza which is strategically located next door, allowing patrons of the brewery to enjoy pizza with their beverage. The tasting lounge inside holds about 20 people. The patio being constructed just outside the back door, on the other hand, will hold 49, making it the place to unwind after a hard day’s ride on Cumberland’s miles of mountain bike trails. 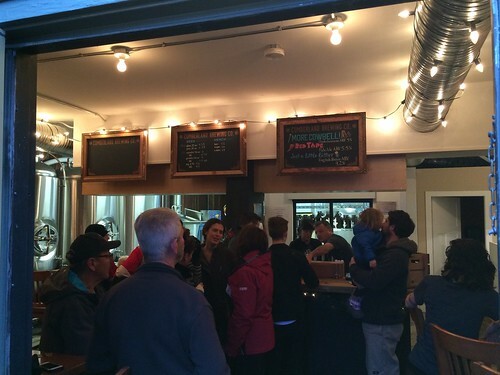 CBC beer is served onsite by the glass and pint. Squealers, growlers, and pigs are available for fresh craft beer to go. Kegs will also be for sale. Interested parties should contact the brewery. 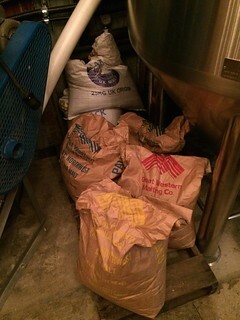 When I visited, there were three beers on tap: a Dunkleweizen, a Pale Ale, and an English Bitter. Darren said the plan was not brew to a specific style, but to regularly offer creative quality brews fresh from the brewery. Their brewmaster is Mike Tymchuk who does double duty as chef next door. 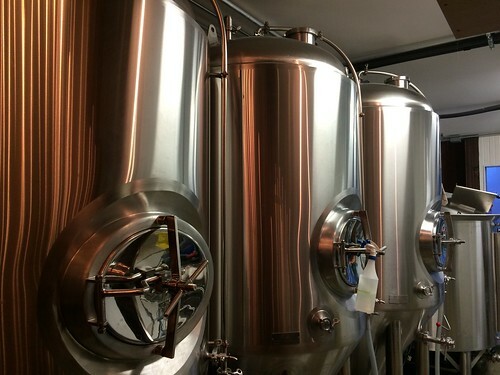 Cumberland Brewing went from idea to doors open in a single calendar year, a feat Darren attributed to Mike’s years of experience in the brewing industry. 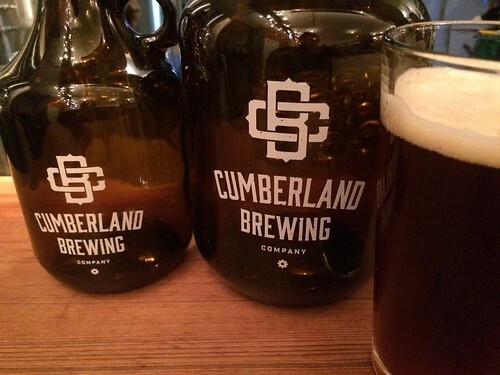 You can learn more about the Cumberland Brewing Company and how it came to be in this article in the local paper. They plan to be open six days a week, noon-ish to nine-ish. On Mondays, businesses are closed in Cumberland. If you can be talked out of it, then you don’t have enough desire. If you need to push through, the most important thing is planning, planning, planning, and choosing good partners. Mandate and mission: with so many styles of brewery out there, there is a lot of temptation to do too much. Find your path and stay true. If you’re looking for additional incentive to visit the Comox Valley, along with trying some beer from the newest brewery in the province, here is the snow report for the local ski resort, Mount Washington. The Valley also hosts the annual Filberg Festival and the Vancouver Island Music Fest. If you just can’t make it to Cumberland, they plan to attend Victoria Beer Week and, hopefully, the Great Canadian Beer Festival to see some old friends and enjoy some of BC’s other fine breweries, Crannóg Ales being one Darren specifically admitted to admiring. My spies in Cumberland have told me they’ve expanded.